A legal subcommittee under the Public-Private Partnership (PPP) committee is expected to decide whether the bidding process for the duty-free shop concession falls under the newly amended PPP Act by the end of this month. If the subcommittee finds that duty-free shop bidding must be done under the act, the terms of reference must comply with Section 6 of the law, which stipulates that the bidding must be done in a transparent manner and can be inspected, said Prapas Kong-ied, director-general of the State Enterprise Policy Office. The new PPP law, which came into effect on March 10, requires that the chairmen of the Thai Chamber of Commerce, the Federation of Thai Industries and the Thai Bankers’ Association be included as members of the PPP committee. Regulations and mechanisms relating to the bidding process are also required to be made more concise, transparent and inclusive. Airports of Thailand Plc (AoT) earlier decided to bid without waiting for a ruling from the PPP committee, saying its bid does not fall under the act. 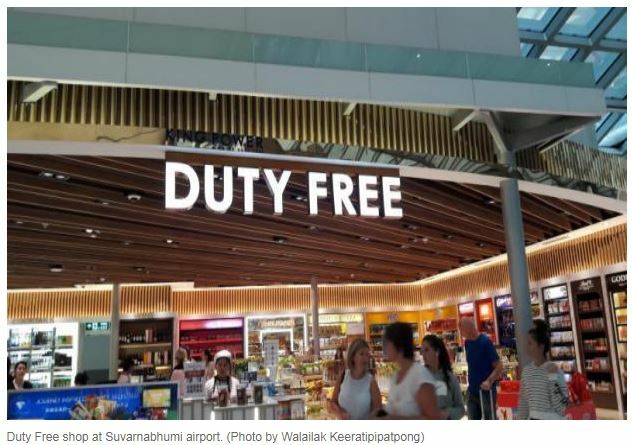 Bidding was stalled later after doubts over concessions granted to a single winner to run duty-free shops at Suvarnabhumi, Phuket, Hat Yai and Chiang Mai airports. To end fears of a monopoly and ease pressure after critics complained about the single-concession policy, the AoT decided to split the bidding into two contracts: one for Suvarnabhumi and the other for the remaining three airports in Chiang Mai, Phuket and Hat Yai. According to Section 7 of the PPP Act, a project considered to be basic infrastructure, a public service or a related business must comply with the act. Bracket 3 of Section 7 stipulates that airport and aviation businesses fall under the act, but it does not address whether duty-free business is an ongoing business of airports.